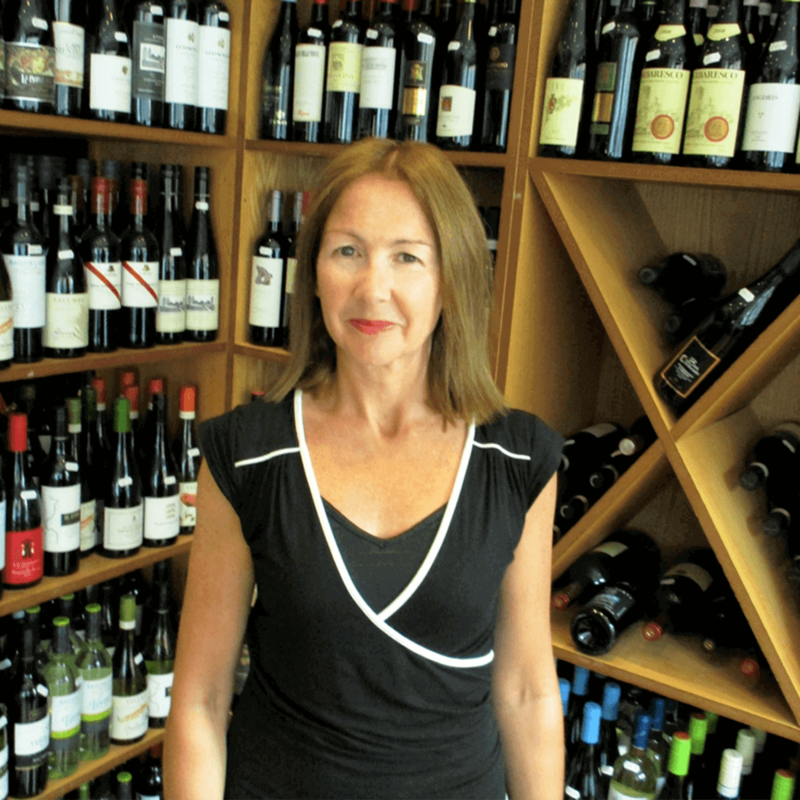 We set up our shop in Dalkey in 1999 with a view to having a wine shop that stocked quality wines in a friendly, casual and open atmosphere. Over the years, we have focused more on importing our own wines and we pride ourselves on selling wines that we can stand over and that over-deliver in terms of price and quality. Our range is constantly evolving and we like to think of our shop as a showcase for the best wine the world has to offer. Our philosophy is “Nobody leaves with a bad bottle”. 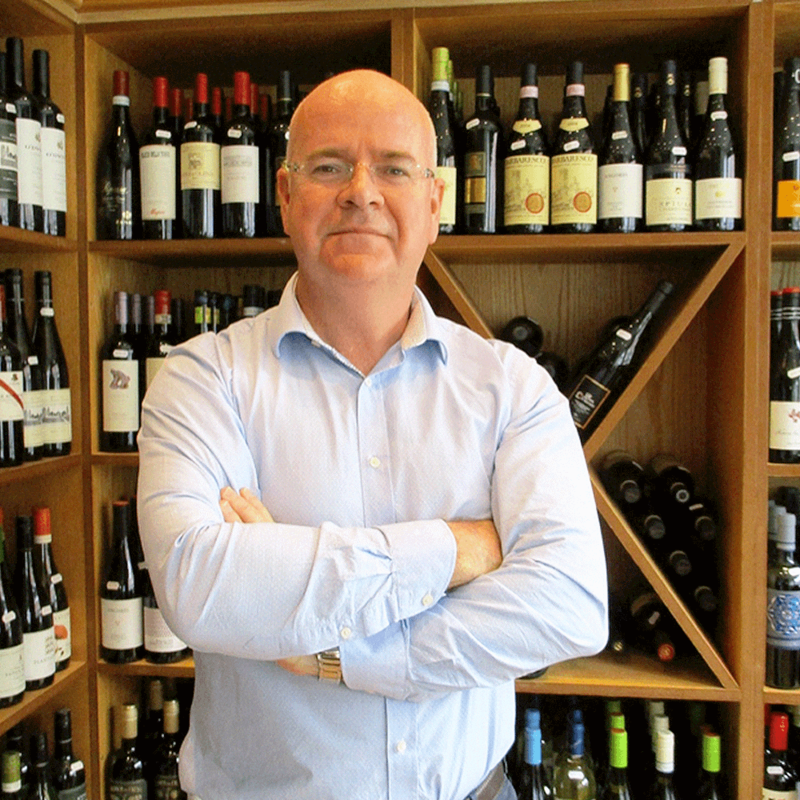 Selling all your favourite wines and crammed with expertise with our 4 WSET Diploma holders. Our excellent wines by the glass in Riedel glassware and comfortable surroundings are accompanied by our delicious food; cheese boards, sharing platters, snacks, lunch and coffee during the day. Food is served Wednesday – Sunday. Enjoy your food and wine surrounded by a wide selection of local and well-known artists. With 4 WSET Diploma holders on the staff, are we the best qualified sine shop in the country? We must be up there…..
We try to wear our wine nerdishness with ease, aiming to inform but not bore, guide but not dictate, be passionate about what we do while at the same time keeping in mind that at the end of the day, it is just a bottle of wine and we should all just get on and drink the stuff. 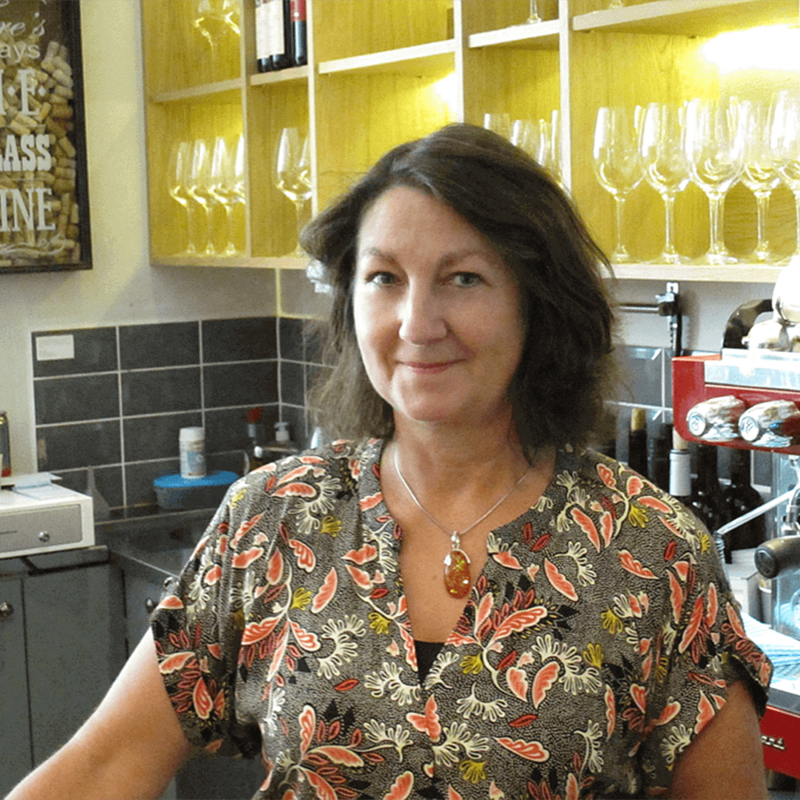 Carol is our main shop manager and has been delighting the citizens of Dalkey for many years now, her charm, good humour and knowledge combining to give fantastic service to all our customers. She joined us in 2005 when we rescued her from Oddbins. She is a brilliant taster, has huge in-depth knowledge and is an avid traveller to all wine regions near and far, where winemakers live in fear of being grabbed for photographs. If you need advice, she will give it to you (on wine matters only please) but most customers do the sensible thing and just let Carol choose for them. They are never disappointed. In between running her own hamper business and rearing 3 kids, Pam also works full time in the shop with Carol. Barista, chef, wine expert, her talents are numerous and impressive, not least as she holds the trophy for best results in the blind tasting section of her Diploma exam (no mean feat). Another great taster, highly organised and a fundamental part of the business since we opened in 1999. Known to be seen in the shop on occasions, but mainly stays in his office fretting and looking at Twitter. 17 years in the business and has the hair to prove it. Looks after the wholesale side of the business as well as wine sourcing, logistics, financials and all the exciting stuff.